Like the saying goes… “time to test the waters” I figured it was time to “test the soil“. The soil in my garden that is. 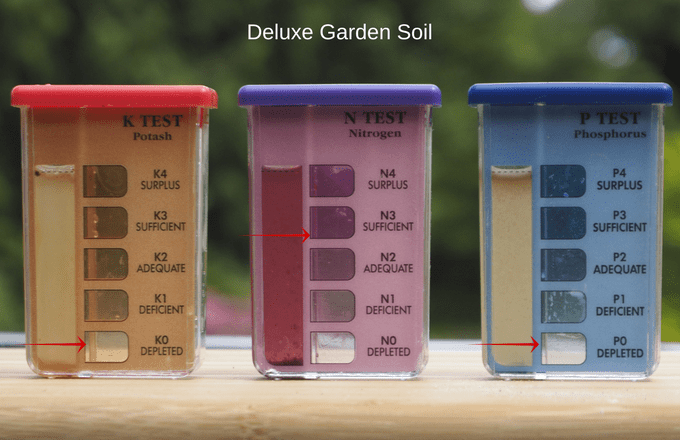 Turns out I have 5 different types of soil right now in the raised garden beds and I thought it would be interesting to do some comparisons using my handy dandy little soil testing kit. As I’ve mentioned before, you can get the kit at Amazon or at your local garden centre for about $15 and it looks like this. Definitely not high tech but it gives you an overall idea of what sort of nutrients your soil is providing to your plants and in my case vegetables. Potted Trees soil – this was from soil that trees had been growing in and we reclaimed it. The reason I decided to do some testing was that I noticed some of my plants are starting to get yellowish leaves which can indicate a lack of nitrogen in the soil. The good news was, I had exactly 5 of each of the capsules need for testing so I figured it was meant to be. 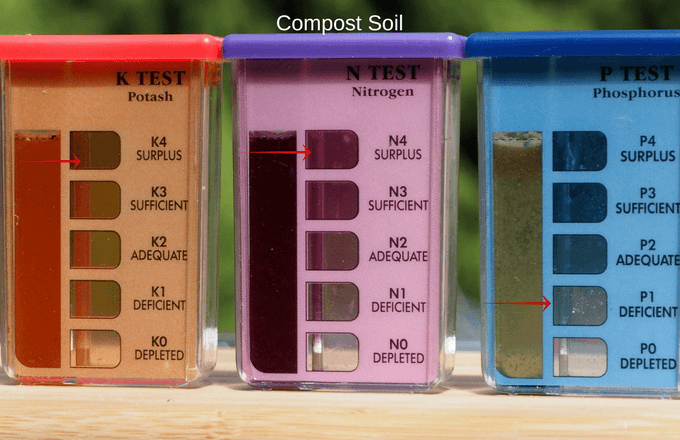 The first thing to do was to take a soil sample about 3-4 inches down into the dirt and then mix it 1 part soil to 5 parts water and let it sit. I let mine sit overnight to allow all the particles to settle. I put them into clear plastic cups and here is what they looked like in the morning. The dirt is at the very bottom and some soil and matter floating on top along with air bubbles. You can see that the compost is the darkest. I think it’s because the particles are finer and suspend in water. My theory anyways. Interesting that the purchased Deluxe garden soil full of bubbles at the top and you can see particles right in the water. If you are wondering what the lines are at the bottom of the picture. They are just part of the plastic cups design. 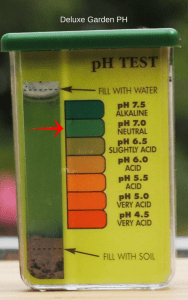 Then I did a PH test on the soils. 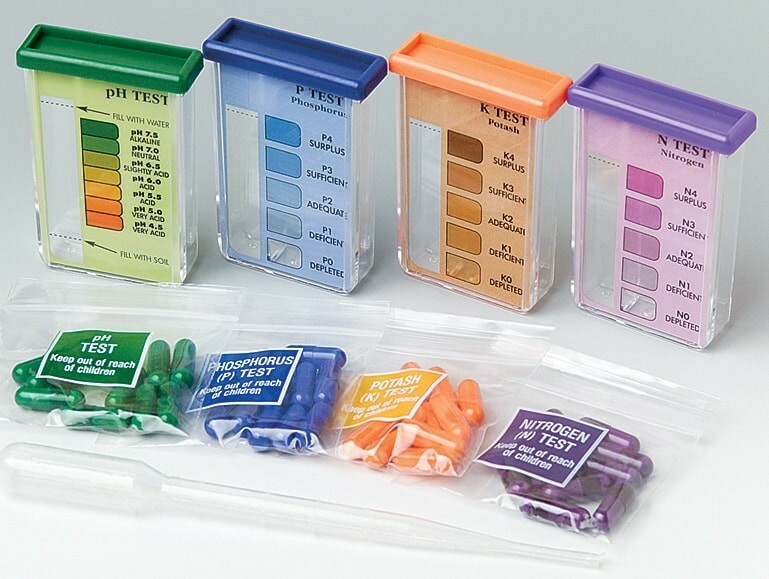 If you look at the soil testing kit picture above you add in the soil to the bottom line, top with water up to the top line and add in the green pill and let sit for a minute. Note: The pictures may not look the same as the results based on different monitor colour calibarations. Just know that I took the reading off the actual sample, not on the picture on the page. After each test I washed out the testing chambers and dried them so each time the samples were starting from the same place. 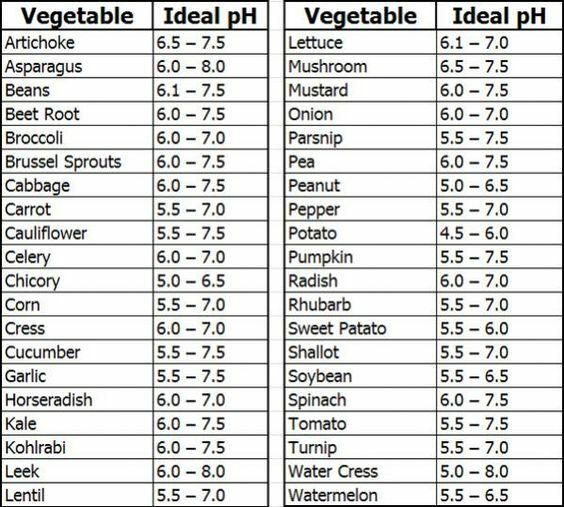 Here is a chart that shows which vegetables grow best in which PH. 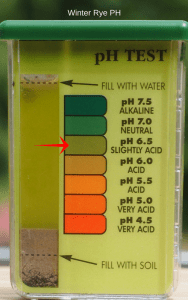 It seems that most veggies grow in the 5.5 – 7 PH range. 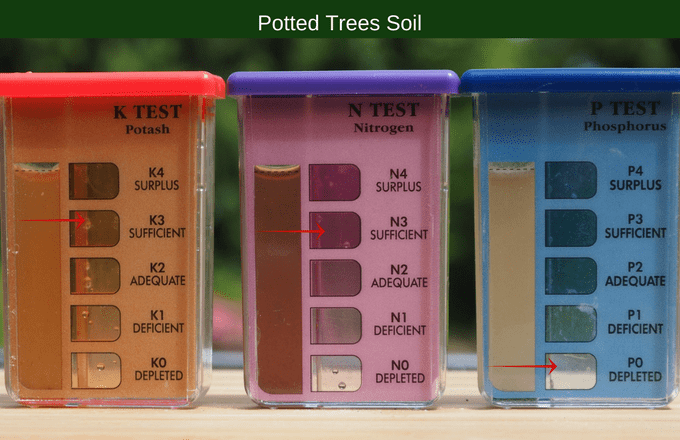 Next, I tested the potash, nitrogen and phosphorus on all the soils. Potash, a form of potassium oxide, is vital to plants throughout their life cycle. 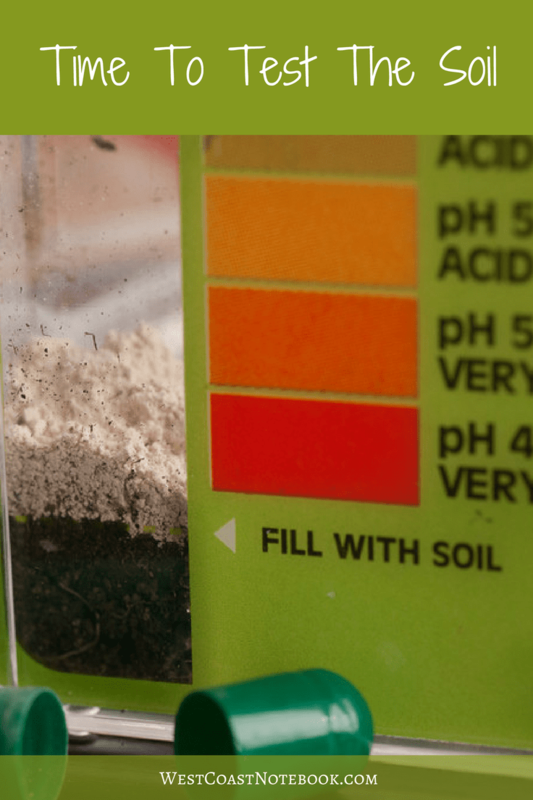 As it’s water soluble and aided in the breakdown process by soil bacteria, potash is easily absorbed by plants and helps them flower and bear fruit. Bonfire ashes, in which no plastics, coal, paint or other chemicals were burned, are a valuable source of potash when sprinkled over a garden. Potash also helps plants better use other nutrients and prevent nitrogen depletion. Phosphate is a macronutrient and a form of the element phosphorus. Fertilizers containing phosphate help stimulate plant growth, aid the development of strong roots and aid in flowering, notes the University of Minnesota. Common fertilizers contain rock phosphate treated with acid to make it water soluble and easily used by plants. 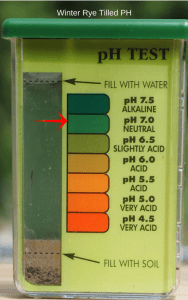 To boost a garden’s phosphate levels naturally, use bone meal, dried blood, liquid fish fertilizer, old banana peels or animal manure to fertilize. You do this by filling the left-hand chamber with water from each of the soil samples, adding the appropriate coloured capsule, shaking and let stand 10 minutes. 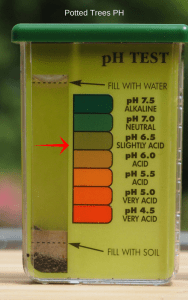 One thing that was immediately evident is that all of my soils were either depleted or deficient in phosphorus. Here are the visual results of the tests. After seeing the results I decided to do up a table to see how all the results fit together. 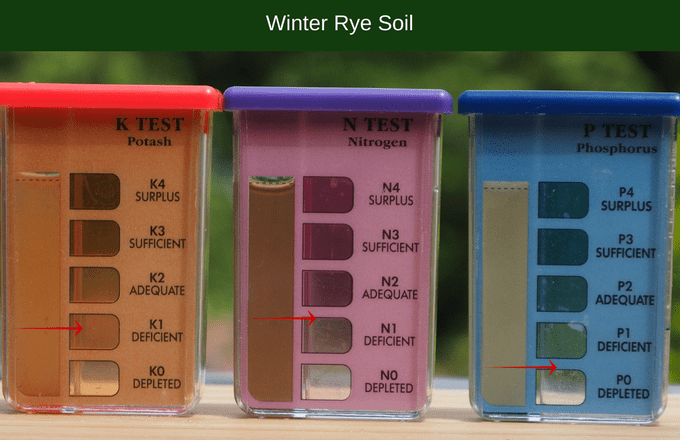 The bad news is that the worst soil is the winter rye. That is because just about all my beds are done in the winter rye, which means I will have to supplement the soil. 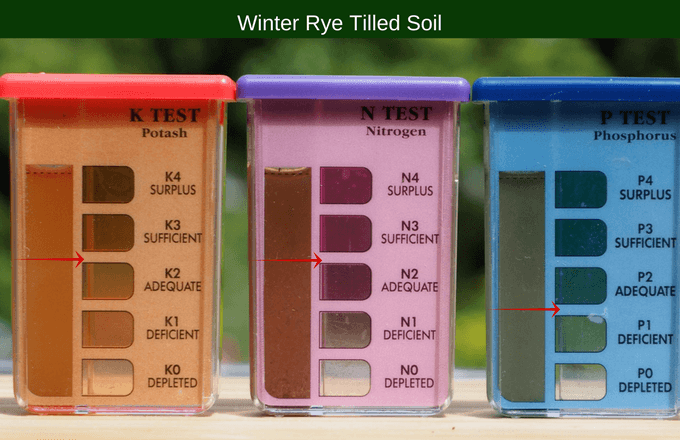 The best overall soil for a sort of even blend was the winter rye tilled. Which according to the powers that be (other gardening experts) that shouldn’t be the case. It was said that once the winter rye was turned and tilled that within two weeks all the goodness that was put into the soil from the rye would be depleted. I wrote about it here. Seems that’s not the case and the soil actually improved by turning and tilling it. Also, the rye isn’t growing back on these beds and it is growing back on the beds that I just cut the winter rye on and planted. The deluxe garden soil that we purchased wasn’t as bad as I thought it would be as per my previous encounters with purchasing soil. This didn’t have as many wood chips in it that the last batch did and actually was sporting some nitrogen. The potted trees soil was slightly acid which I figured it would be as there were fir and cedar needles in it but overall wasn’t too bad for soil that had been sitting in pots for years. 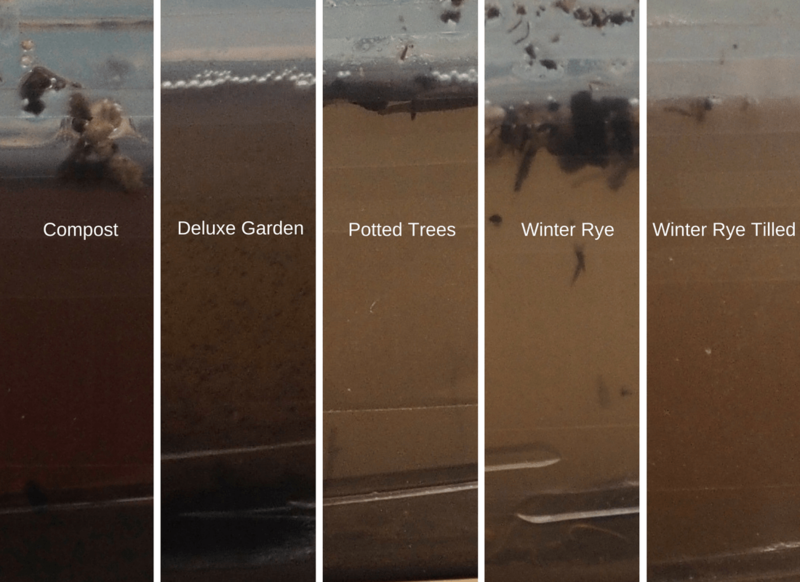 Just goes to show… soil can be recycled. I was very proud of the compost as this was soil we built from scratch or should I say scraps. Off the charts in potash and nitrogen but needs some added phosphorus. I wouldn’t use this as soil on its own but will keep using it as a supplement to the other soils to beef them up. I learned that if I ever plant winter rye again, I will cut it, turn and till the soil adding some additional compost and phosphorus. And just when you think old soil in pots is past its due date it up and surprises you. 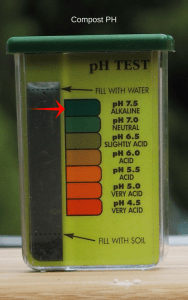 Based on the results and what is currently in my garden, I will water regularly with compost tea (for nitrogen) and supplement with liquid fish fertilizer (phosphorus). This fall I will put seaweed on the compost pile to add in some phosphorus. In the meantime, we have a person who does headstones from granite just down the road and I shall go and see if I can get some dust from him to add to the garden and compost. This won’t be a viable nutrient right away as it needs to incorporate itself into the soil, but by adding it to the compost pile it will be interesting to see if by next spring the phosphorus is at a higher level. I created the best soil but used the worst. the prep work was lengthy and awkward and I needed to get creative with planting. Now I know what I don’t like, I think I might go back to what I do like. But hey… you never know until you try something different. It could have gone the other way. As the saying goes… the fruit of your labours will determine the outcome of the crop. May it be a good one!